We can evaluate your business processes and tell you how technology can be used to make them more effective. Sometimes an outside perspective provides the insight needed to reveal an ineffective or better process to achieve results. For enterprise clients, we will interface with your IT department to ensure any system we build fits with an organization’s overall technology strategy and is a collaborative partner with regard to systems, security, and platforms. We can also consult with IT organizations to define Workgroup Application Strategies that allow them to support custom productivity software in an ongoing basis. LuminFire specializes in supporting Apple Macintosh systems for ease-of-use, low life-cycle cost, and reliable virus-free computer operation. All our custom applications and web solutions run completely cross platform on both macOS or Windows. With all newer Intel-based Macintoshes, you can run any Windows applications when necessary. On the mobile side, we build and support custom solutions primarily for iOS (iPad and iPhone) or build web-based solutions that work on iOS or Android. Our expertise with FileMaker, WordPress, and many other technologies allow us to provide strong business solutions in nearly any situation. 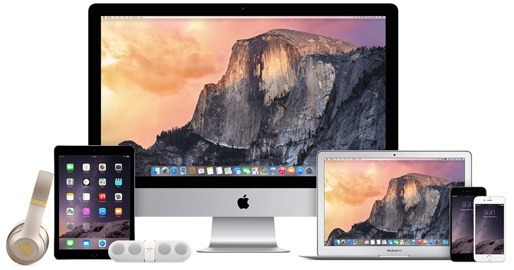 Apple technologies offer many great solutions for all types of businesses. When you have a project in mind or simply need some help to get you started on the right path, we are local experts ready to help. LuminFire has implemented Apple technologies for years…even before it was cool. We are members of the Apple Consultants Network (ACN). The ACN is made up of independent, local companies like LuminFire that offer IT services and solutions based around Apple products. ACN consultants are trained and tested in the implementation and support of latest Apple technologies. In order to be a member of the ACN, the organization must pass rigorous tests to remain certified. Apple created the ACN as an elite group of consultants with about 1,500 in North America. Only ACN consultants are recommended at Apple Stores and on the Apple website. Technology Consulting – We evaluate your current tools and recommend changes that will improve the efficiency and stability of systems. We will also make recommendations on technology strategies to improve your bottom line. System Installation – We install operating systems, applications, networks, workstations, and servers. Troubleshooting – We will fix or repair most computer problems that can come up. We can do this remotely or on-site. Maintenance – We will keep your technology in top condition through period checkups. We can recommend and work out a reliable back up solution for your critical data. We know how to find the best products and the best prices for our clients. We provide hardware and software sourcing as a service. Visit our Products page for more information on purchasing equipment. Are you trying to set up your Macintosh, iPhone, iPad, or some specific software like FileMaker or Apple Mail? How are your back-ups? Does your wireless network work? Want your employees to be able to telecommute? If you are looking for some help, we can navigate these technological situations with ease and show you how to do it, too! We are here to answer basic to complex questions about software and hardware that can make your life easier. We can teach complex technical topics in words humans can understand. We can set up corporate sessions, in-home one-on-one help, or remote training and mentoring.